Welp, Nikki Bella might not be too pleased to hear about this but it seems like ex John Cena is reportedly dating Shay Shariatzadeh, which, if true, means he’s definitely moved on from any possibility of rekindling things with Bella. But who exactly is Shariatzadeh? How long have she and Cena been an item? And why are the pair keeping things so quiet if they’ve been spotted out and about looking oh-so-happy? Here’s what we know about this new celebrity couple. According to E! News, Cena was seen with Shariatzadeh in Vancouver, British Columbia in late March as the couple strolled through the streets as part of what was apparently a four-hour date. 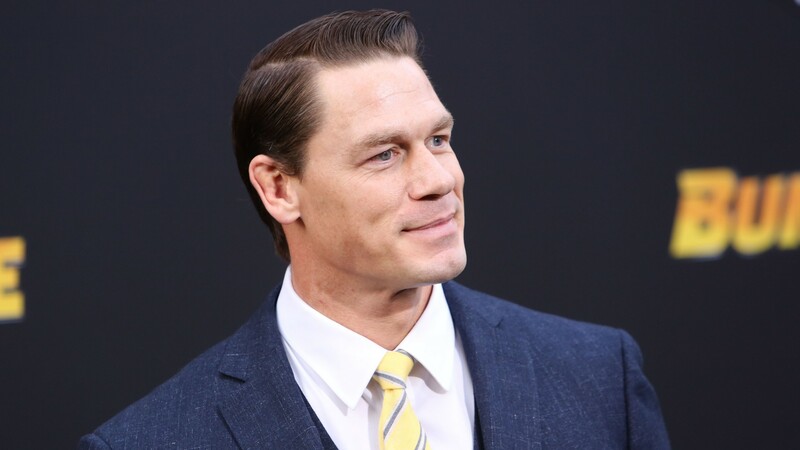 Interestingly, the photos of Cena and his new love interest appeared just hours after Bella confirmed her she was dating Arten Chigvintsev, of Dancing With the Stars fame. At the time of reporting, it’s still unclear how Cena and Shariatzadeh met or if they’ve been dating previous to their alleged date in Vancouver. That said, we do have some information about who Shariatzadeh is, and that is where things get interesting. Shariatzadeh works for Avigilon, a company focused on security solutions for the global market, and is based in British Columbia. Speaking with Avigilon for International Women’s Day 2019, Shariatzadeh shared a little bit about her educational background, which also involves British Columbia: “I have always enjoyed math and physics. My brother studied engineering in school, and I remember one day he came home with a project and it was an autonomous car—and that was it!” she explained after sharing that she has her bachelor’s degree from the University of British Columbia in Electrical and Electronics Engineering. Previous to joining Avigilon as a product manager, E! News reports that Shariatzadeh worked in retail at Guess as a sales associate. Additionally, she has done mentor work at her alma mater, the University of British Columbia, and has a green and white belt from Lean Six Sigma. Basically, Shariatzadeh is one smart cookie — and Cena is lucky as hell to be dating her. Now, the only thing we need (in addition to confirmation of this relationship) is more information straight from the horse’s mouth about how these two met. How on earth did these two worlds collide? Tell us everything, you guys!